Before you can generate mortgage leads as a broker, people have to know you exist and what you stand for. One person who knows how to make that happen is Invis-MI‘s Kelly Neuber. 1. Kelly, if we’re being honest with ourselves, how well would you say the mortgage broker industry markets itself, relative to other financial services industries? Quite well, actually! Obviously the biggest difference between us and the banks is that the banks control their distribution so they can implement marketing campaigns exactly as they want them. We work with independents that aren’t controlled, but are instead supported. They implement what is best for their individual business and their target markets. Banks have the ability to localize their marketing, but they mostly implement national campaigns. The trend, of course, is local marketing and that’s where we do a great job as an industry. That said, we still need to raise awareness of what mortgage brokers do, and it’s unfortunate that our industry still hasn’t managed a concerted broker awareness campaign. 2. How has mortgage marketing changed since the turn of the millennium? It has changed dramatically yet, in many ways, stayed the same. It’s obviously more online now, with pay-per-click marketing, email marketing and social media. When I started in 2002 it was all print handouts, postcards, flyers and newspaper/radio advertising—all of which can still work, it’s just not as prominent now. There’s also a greater focus on more targeted messaging to specific markets. Fifteen years ago, we knew customer relationship management (CRM) programs were the key to the future. That hasn’t changed. Picking up the phone and calling clients for a pre-approval or an annual mortgage review still works too. I know lots of brokers who make time every week to call clients and prospects. As tough as that can be, they won’t give it up because it still works. And while direct mail isn’t being done as much anymore, it’s remarkable to see how a great customer mailout can really stand out—since there is so much less direct mail overall. Lastly, back in 2000 much of a broker’s marketing was still geared to being a second option when you’re turned down by a bank. Today, agents go after that “A” client, which has been a very significant change in broker marketing. 3. Can the typical individual mortgage agent be an effective marketer, or do you need specific skills, education and background to effectively plan strategies that persuade today’s consumers? I think first and foremost you need to be a salesperson. You need that relentless attitude about seeking out business and knowing when to go after the sale. New brokers have to be in that “try everything and get dirty” phase. Stuff won’t work and there will be rejection, but over time they learn what works best for them. I find that some brokers struggle because they aren’t salespeople. They tend to hide behind a bunch of other time-consuming activities. There has to be a natural sales aptitude. Either that, or you need to hire a salesperson. Once that’s covered, the next most important decision is to identify what works best for your personality—because you want to be focused. In other words, clearly define which customer groups you’re targeting, develop a comfortable way to ask for referrals, and leverage your past experiences and your personal/business networks. Brokers then need to determine which mediums to use, be it email, web leads, social media, advertising, working with Realtors or financial planners, and so on. A marketing plan also helps. It focuses your time, energy and dollars. And it gets you to stop and think about your market potential, where your business is today and where you want to be tomorrow. Then you can track results, so adjustments can be made. 4. What are the two biggest mistakes mortgage agents make when marketing themselves or their firms? I would say not being focused and having too short of a time horizon. You can’t do everything. It’s better to do some things really well. Being focused applies to the target audience, the message itself and the medium used to get that message to your audience. Success takes consistency and time. I’ve seen brokers do very little volume for three straight years and suddenly take off and become award winners because they stuck with their target markets and messaging, learned and adapted. Sometimes brokers only think about marketing when they’re not busy. Without consistency throughout the year, it causes volume peaks and valleys…and stress! That’s where automated programs can help because it is consistent marketing over the long term that pays off. 5. What types of marketing or messaging should agents create to attract the attention of consumers who are increasingly exposed to interest rate advertising and rate comparison websites? Differentiating yourself is so much more important than it was 15 years ago, and it’s key to attracting consumers’ attention. In 2000 you could market mortgage brokerage services in general and do well. Now it’s more critical to have customers connect with you, either on an emotional level—because they have a similar interest as you—or on a personal level. 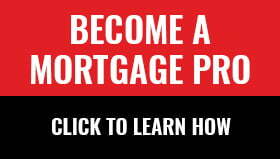 As just one example, one of our new brokers is marketing and blogging #mortgagepug (www.mortgagepug.ca). His pet is his mortgage mascot and companion. The continual reference to his mortgage pug does two things: it’s a targeted message to dog lovers and it is highly memorable because it’s fun. Another one of our brokers was previously a nurse so he now targets healthcare professionals through social media (@mortgagenurse) and via word-of-mouth referrals. He also showcases his four young children on Facebook, which conveys a family oriented approach. Research your target market. It’s like your strike zone, to use a baseball analogy, so you have to know it. If you haven’t defined a target market, you won’t know where the strike zone is and you could be throwing balls all over the place. 6. Banks spend hundreds of millions of dollars a year branding themselves. The marketing budgets of agents are a drop in the bucket by comparison. Should agents even bother spending their precious promotional dollars on branding, or dedicate those resources to something else? It all depends where they are in their life-cycle as a broker. We have many successful brokers who have a rock-solid database and that’s 80% of their focus. They dedicate few dollars to promotion because their database keeps maintaining or growing their business. Most of these brokers use a good CRM and/or use our icare program (a system where materials go out on an autopilot basis to generate repeat and referral business). So, most of their marketing dollars are channelled to their CRM. Some are finding that their book of business is aging or they want more business than what they get from their database, so they implement acquisition strategies. One of our brokers recently bought bus advertising for both retention and acquisition purposes and it’s working for her. Younger brokers coming into the business, say those in their late 20s, often have large social media networks. They can focus their efforts there at a minimal cost through organic posts or pay-per-click ads. I know lots of brokers who only leverage social media for growth. It costs relatively little and they do extremely well. Having “social capital” when entering this business is a tremendous asset because it provides a full database right out of the gate. If I was hiring a new broker, that would be one of my top questions. 7. Are there any guerilla marketing tactics you can suggest to individual agents with minimal marketing budgets? Guerilla tactics are about getting dirty, and trial and error. Social media is fantastic for those with minimal budgets. It gives you regular top-of-mind awareness with consumers and referral sources. But if you don’t have a large network, you have to give it time. Social media prominence doesn’t happen overnight. Posting quality content is important, but the real key to success in social media is actually being social. It’s “liking” and commenting genuinely on the posts of those you are targeting. Brokers can also blog on their websites and share that content with their social networks. The benefit there is that those posts promote your website—where your “Apply Now” link is located. Social media is a great way to build email lists as well. Just be sure to have a systematic program for staying in touch with prospects so you don’t lose them. And don’t be afraid to talk to successful brokers. You may have an idea that they’ve already tried, which you can then learn from. 8. What’s your view on mortgage agent websites from a marketing standpoint? Many agent websites are essentially electronic business cards with little unique or value-added content. Is that good enough? Or should agents really be making an investment in their websites to make them unique and attract traffic? All brokers, whether they aggressively want business from the web or not, need that Internet business card, as you say. It’s online credibility. They may think they don’t get business from it but prospects and referral sources will check them out online before calling. If they want it only as a virtual business card, then at a minimum it should have their value proposition, standard mortgage information, online mortgage application forms, calculators, a current news feed and/or an up-to-date blog. And it must be mobile friendly. Savvy customers know when they hit a stale site and it can provide a negative impression. Brokers can outsource content generation for a low cost if needed. You don’t have to try to compete with the rate shopping sites that spend big on content and search engine optimization. 9. Is print advertising and radio advertising still effective with today’s attention-stretched consumer, and a good return on investment? Or should agents deploy their marketing dollars to electronic marketing or other avenues? In some markets yes, print advertising does work because the local paper is well read. One broker told me he still lists in the Yellow Pages book because most brokers don’t do it anymore, and his older market still likes a paper phone book. In other markets, catchy radio ads can work well because people listen to the radio while trapped in their cars. There is no one right answer. What works for one broker may not work at all for another. 10. Free marketing services are one of the core reasons to join a full-service superbroker. What kinds of marketing do agents ask you to create at Invis-MI? The greatest value add that our marketing department provides is that we anticipate what brokers want and need. We have a large body of content and it’s always kept up to date with fresh, timely content added each month. We also send out a monthly marketing communication that is full of suggestions (i.e., ideas for messages, social posts, blog articles, etc.) Brokers then adapt this material to their businesses. We also create an environment of continual learning through professional development days and marketing workshops held across the country. To your point, we handle custom requests from those brokers who need that service. But being a full-service brokerage firm, marketing is just one piece of the puzzle at Invis-MI. A broker’s reason for coming to a full-service firm may not be marketing at all, but compliance and payroll. The truth is, not all brokers invest in marketing. Well, how nice would it be if marketing was optional for the rest of us? Great interview! Really interesting to read.